Chili's Restaurants Gift Card Deal: Two Free $10 Bonus Cards with Every $50 in Gift Cards Purchased. 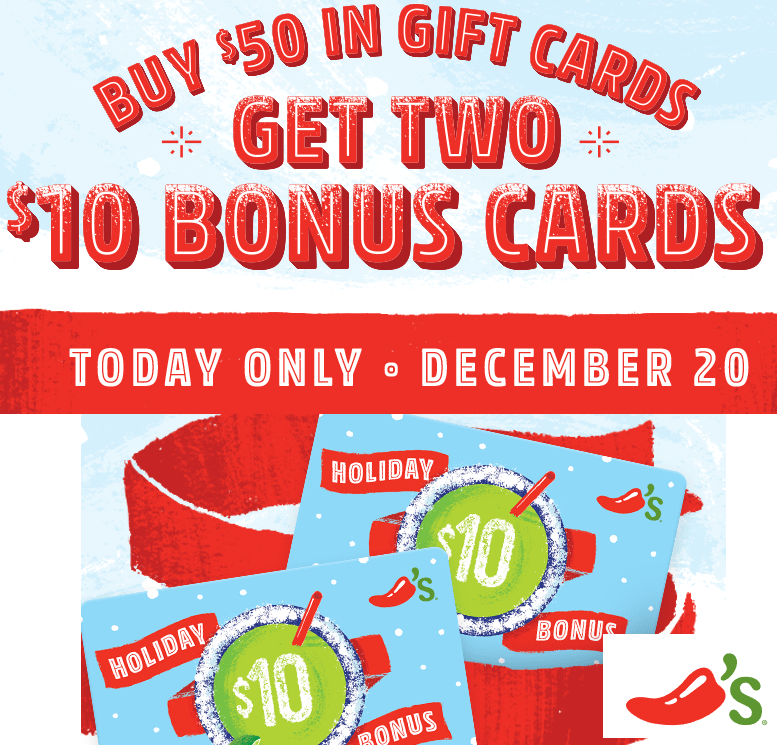 Deal Valid today 12/20 only. Bonus cards valid from 1/1/19 - 2/6/19, Limit one bonus card per table per visit. $50 Gift card never expires.